In recent years, the Web Application Development has completely taken over almost every industry around the Globe. As we know web development is changing every second - only change is constant and will continue to astonish people. The web is getting more and more ingrained for everything, from shopping to banking, to reading our news and beyond our imagination. Thus, the demand for Web Developer Skills and Technologies is as high as ever, which caters a huge scope for developers. With each passing years, we wonder what 2019 will have in store for us? Will the web creates its way toward more areas of life with innovation? 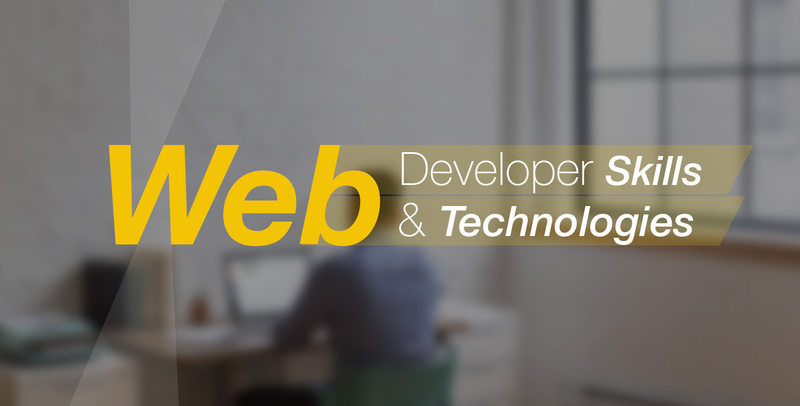 In this article, the Root Info Solutions Team have made a brief analysis of the necessary web development skill and technology essential to fuel faster and most competent wen application development. There are different types of developers that include front-end developers, software developers, mobile app developers, Web application developers, back-end developers, full-stack developers and many more. Nowadays, with the accelerating demands for best apps - Hybrid Mobile Application Development has come in light gaining popularity, with frameworks including Xamarin, Ionic etc. (utilized for the cross-platform app development).In addition to this, there are also progressive Web-based applications based on browser technologies - referred to as the latest wave of cross-platform apps by experts and leaders of the mobile app industry. The ultimate aim of this development process is to provide UX lead by scalable designing. There are numerous software available based on web concept and indicates long tenure dependency on the front-end Developers. Thus, front-end developer skills are highly mandated in the development execution. The back-end developer works on the server side. This consists of working components likes business logic, database operations, API magic, and others, however, these operations require technical languages like NodeJs framework and SQL. If you are new with the technical aspect, you might be things what this full-stack developer refers? The developers having all-around experience and knowledge about both front-end and back-end technology are known as a full-stack developer. These developers hold logical interpretation across entire system with designing to plan execution skills. This makes them more in demand. The latest technologies are popping the leading global organizations and innovative startups. Also, there is an increasing demand for mobile app developers having expertise in Machine Learning and Artificial Intelligence as they tend to overshadow the upcoming trend. UI (User Interface) and UX (User Experience) designing are quite a crucial aspect in app development. Thus, one of the things that the app designers, as well as developers, need to know - both UX and UI have slightly different concepts and requires to be separately taken for the ideal development. Basically, the mobile application designers working on website interface and apps should converge on enhancing the visual appeal for the users. Along with this, they need to design simplistic navigation. And the, UX professionals should go with tests and analyzation based on different aspects of user interaction and how intuitive the overall user experience actually is. Machine Learning and Artificial Intelligence (A.I.) are gaining the competitive edge in this technology era, thus to progress as a web developer in 2019 it is crucial to have an advanced level of familiarity and knowledge about AI and ML. The main element of the technologies is to accomplish a variety of day-to-day human tasks that develop different industrial processes. Above we have mentioned - the importance of technologies like machine learning and UI/UX design, therefore moving towards more technical aspect such as Cloud Computing and SaaS is also mandatory to walk parallel with the development. Having excellent command over cloud computing as well as SaaS fundamentals will helps developers to know and improve the in-depth of the app development.